WT 3/c Robert C. Vernon, son of Mr. and Mrs. Homer Vernon, attended Tipton High School; husband of the former Raenell Boyd. 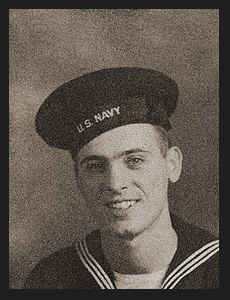 Entered Navy in Nov., 1942, trained in Great Lakes, Ill., and Dearborn, Mich.; served aboard the U.S.S. Oakland and U.S.S. Los Angeles; was discharged in Nov., 1945. Awarded ETO Ribbon with seven Battle Stars.